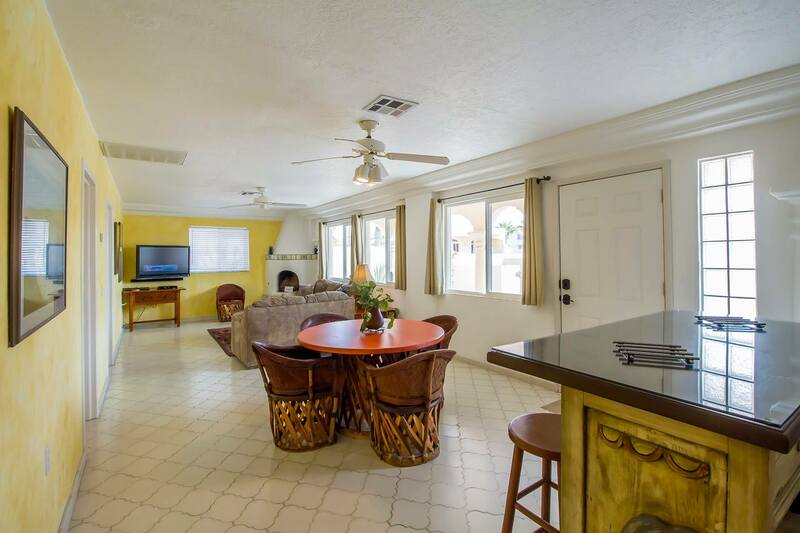 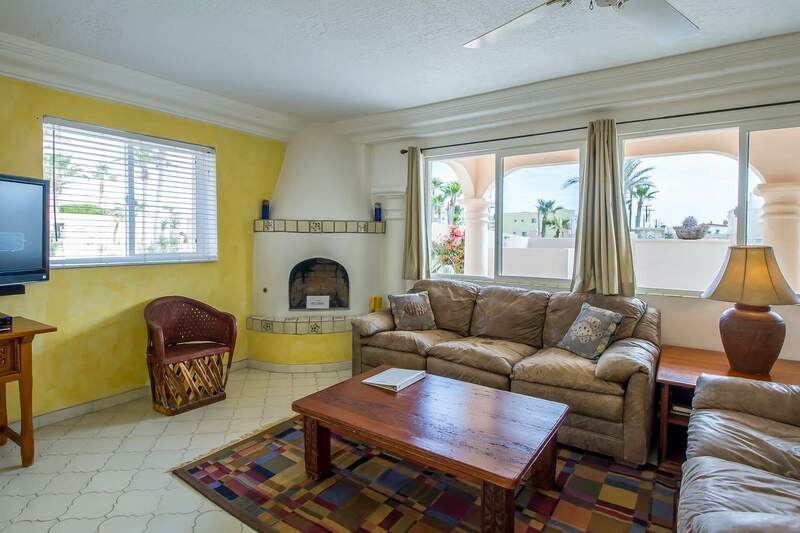 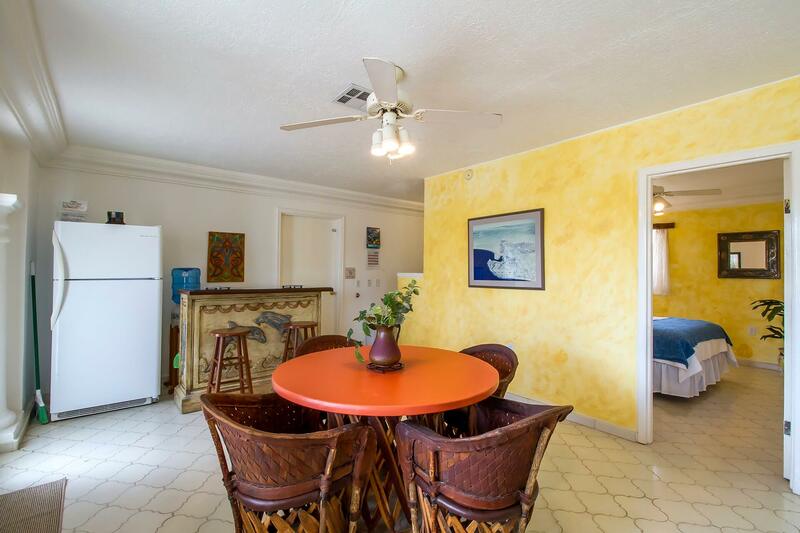 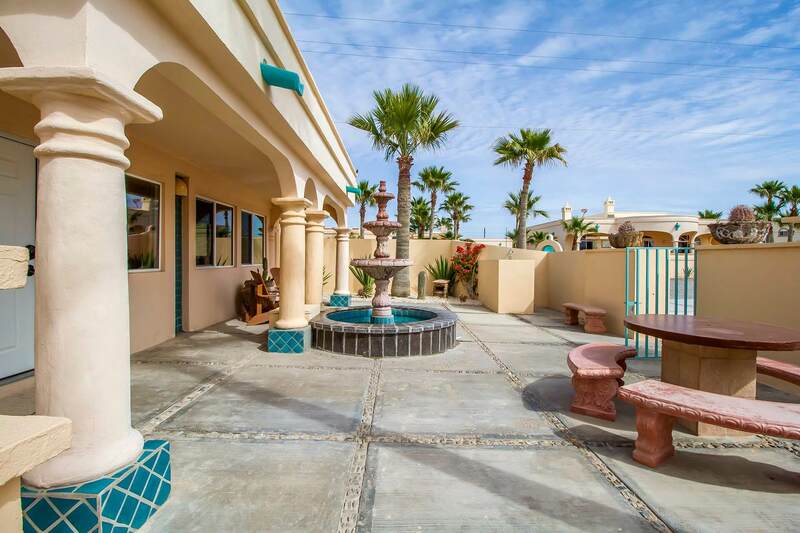 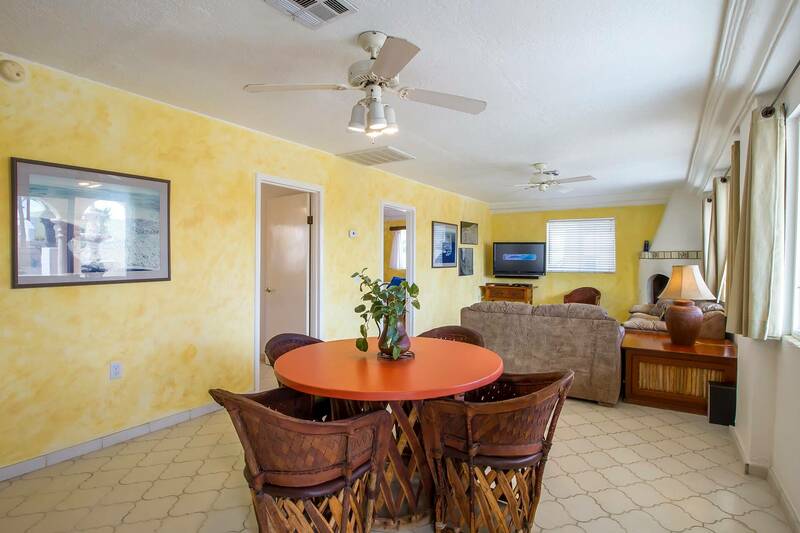 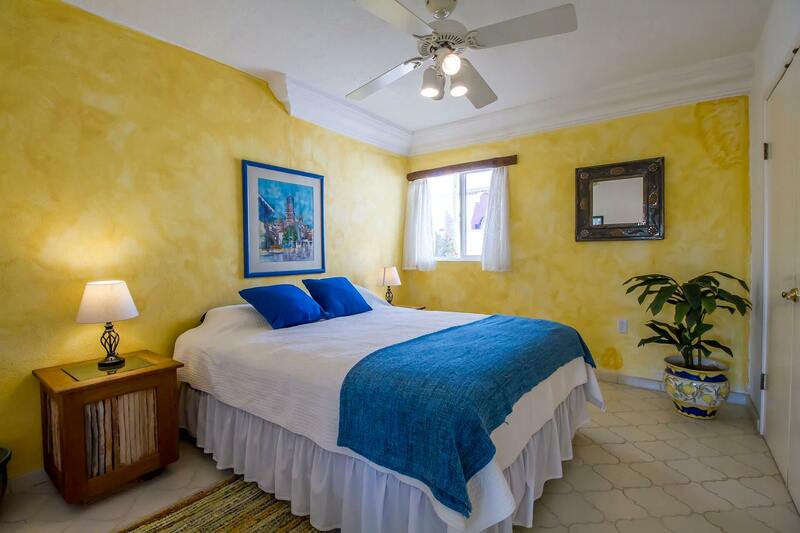 Casa Estrella is a cozy 2 bedroom, 2 bath guest home within the La Paloma del Mar beach front estate. 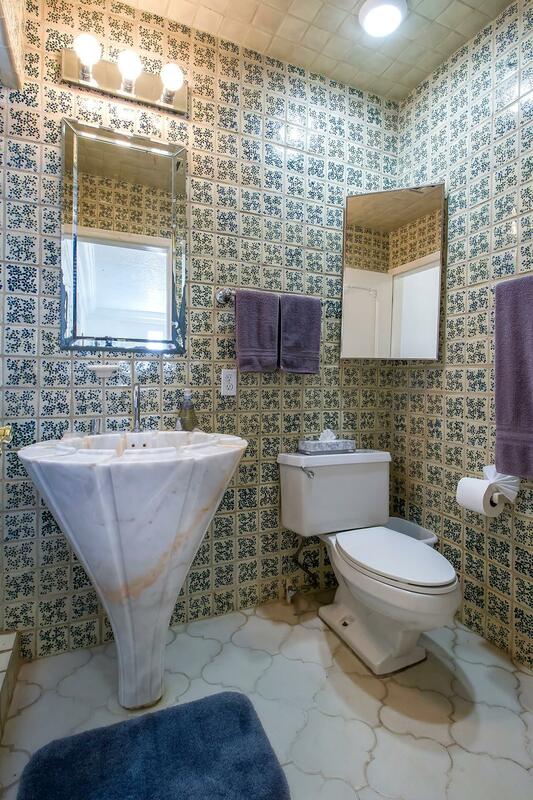 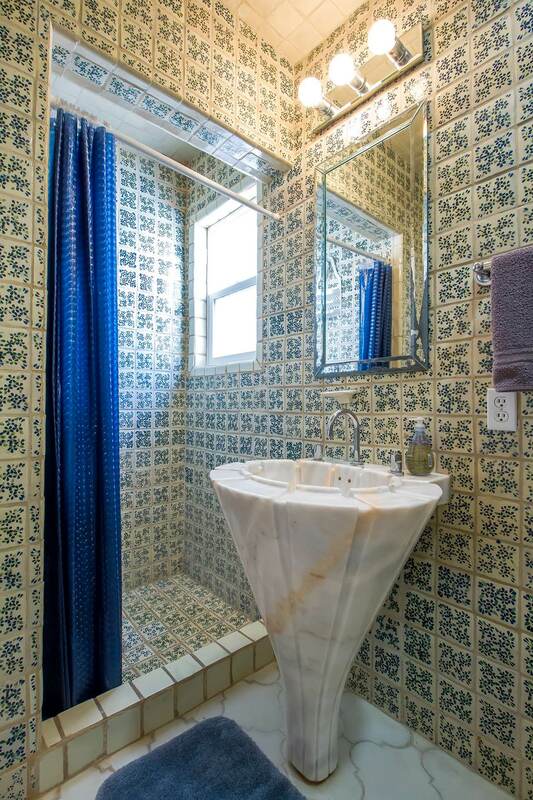 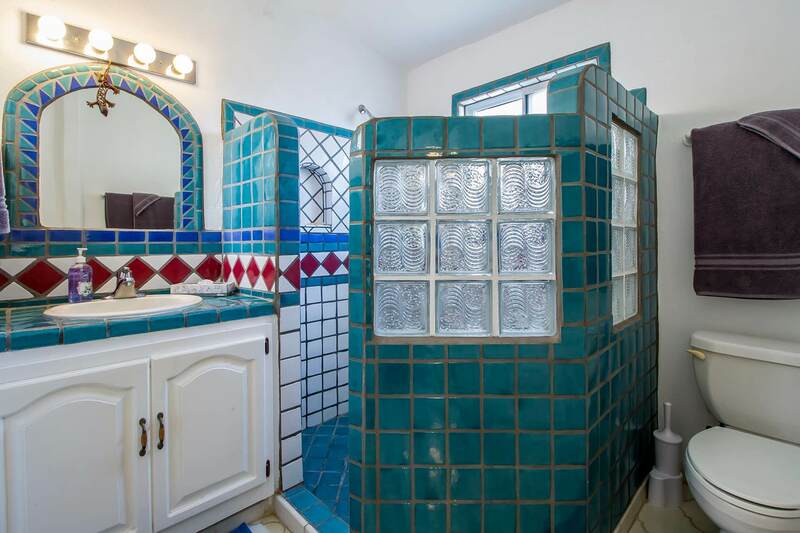 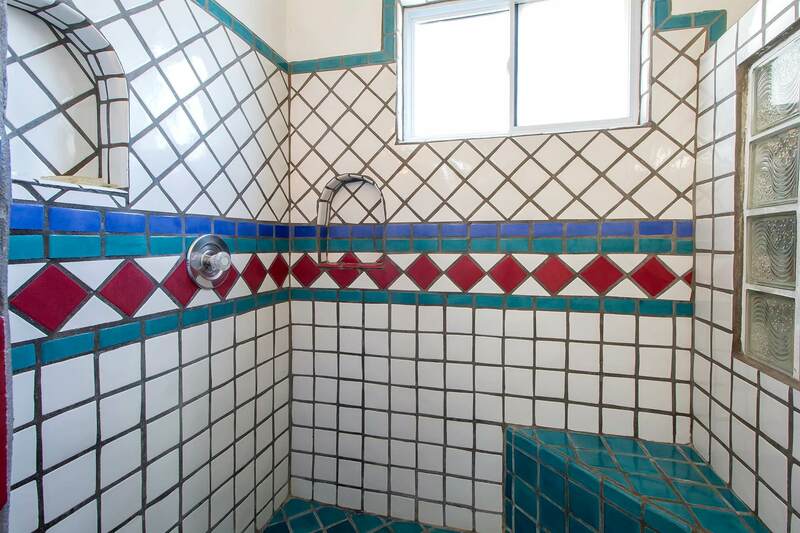 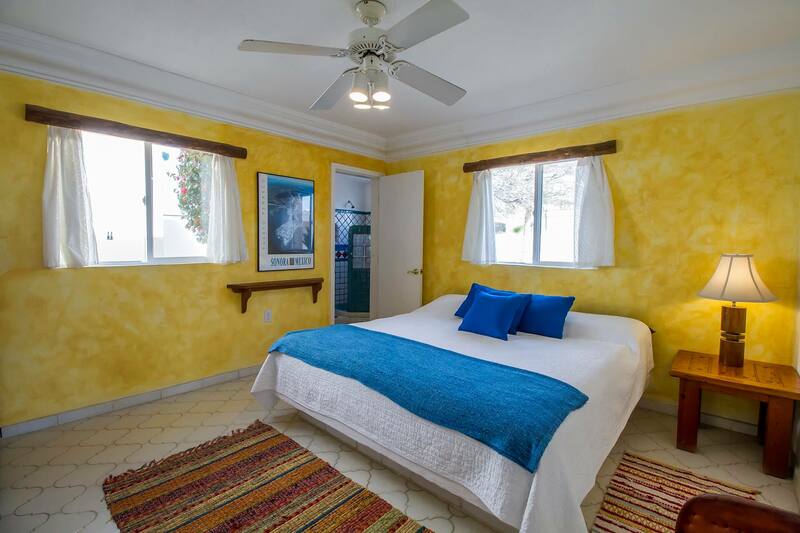 Casa Estrella's master bedroom comes equipped with a king size bed and it's own bathroom. 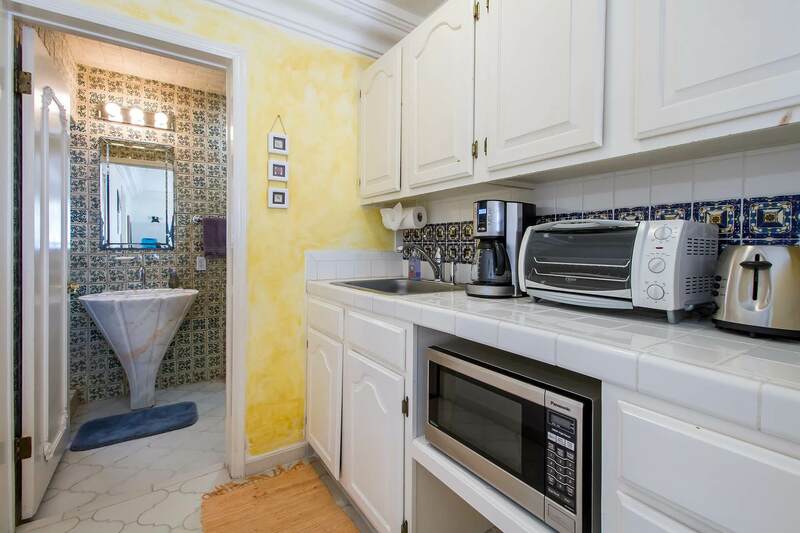 a microwave, blender, toaster, coffee maker, electric skillet, BBQ grill, and filtered water. 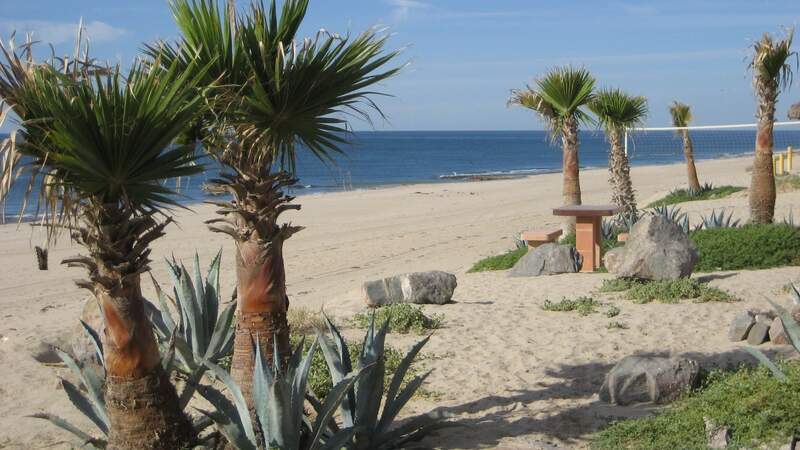 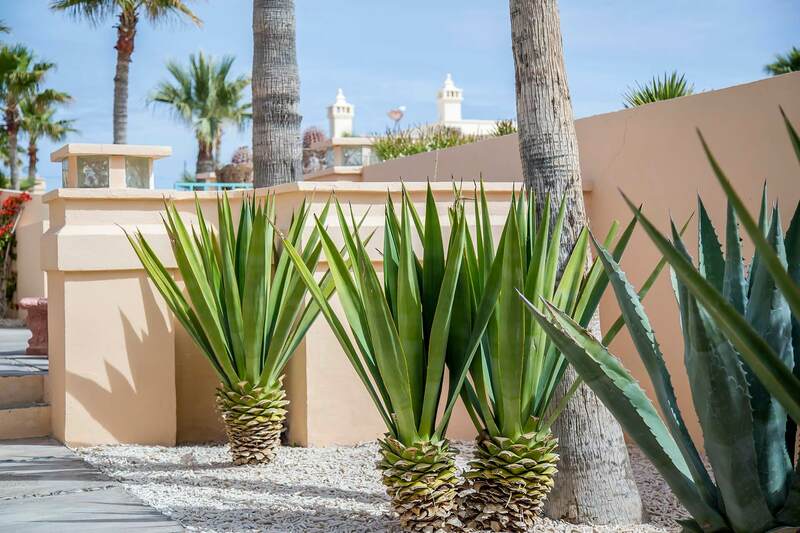 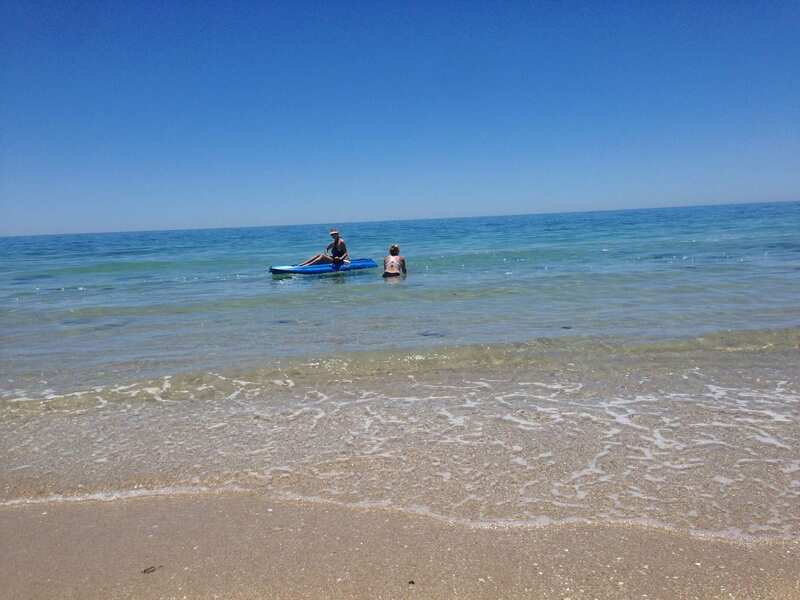 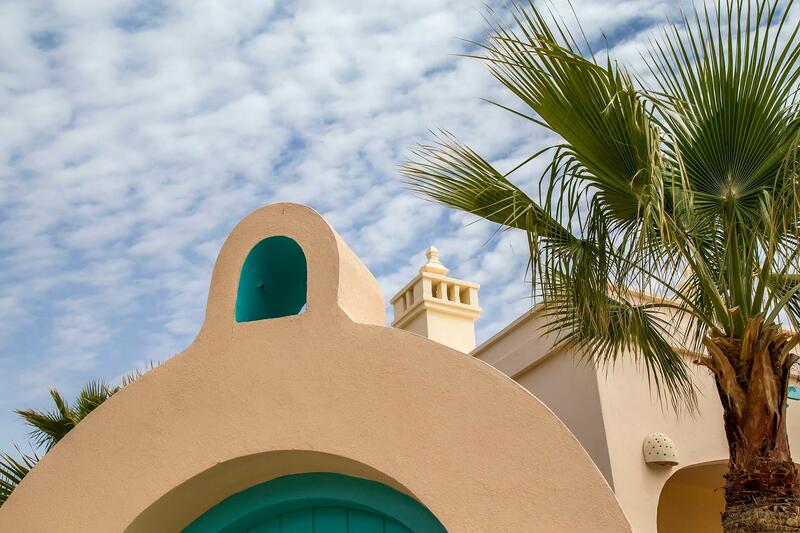 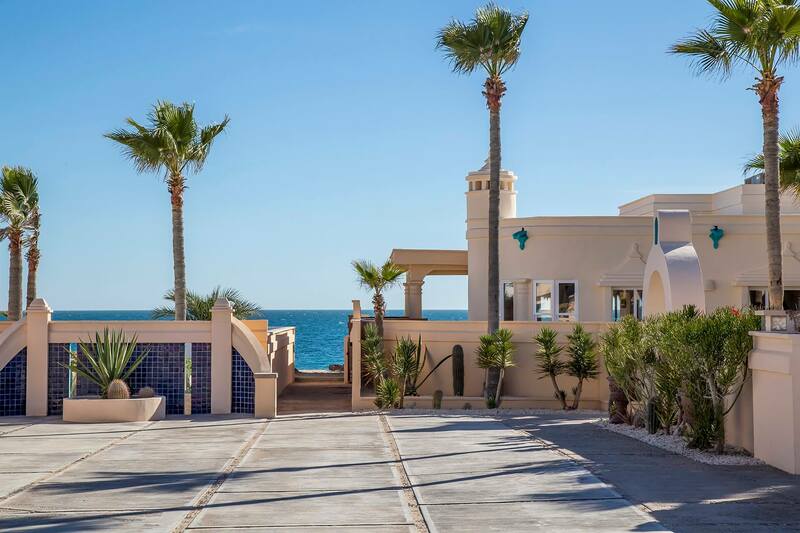 While Casa Estrella does not front the ocean, it is just 30 steps to the beach! 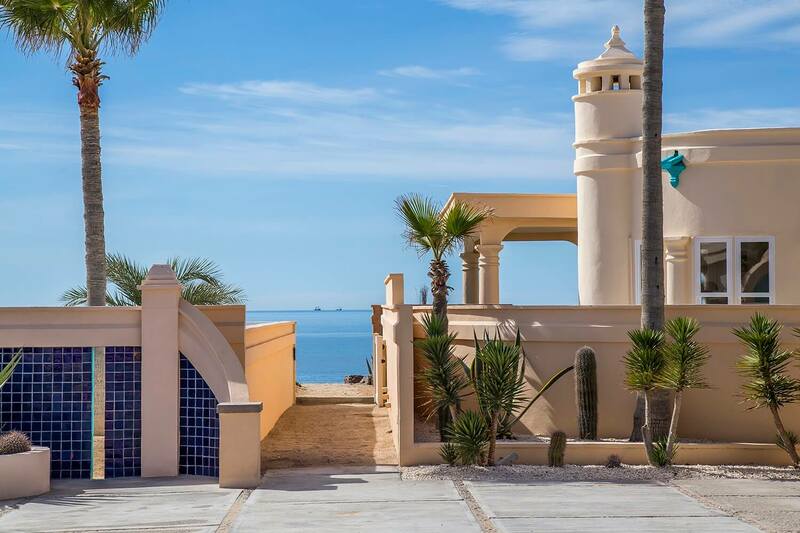 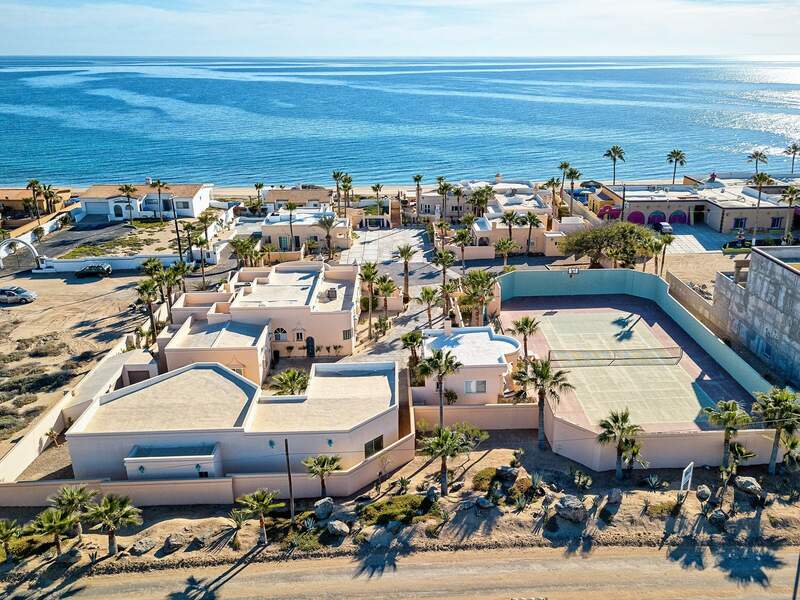 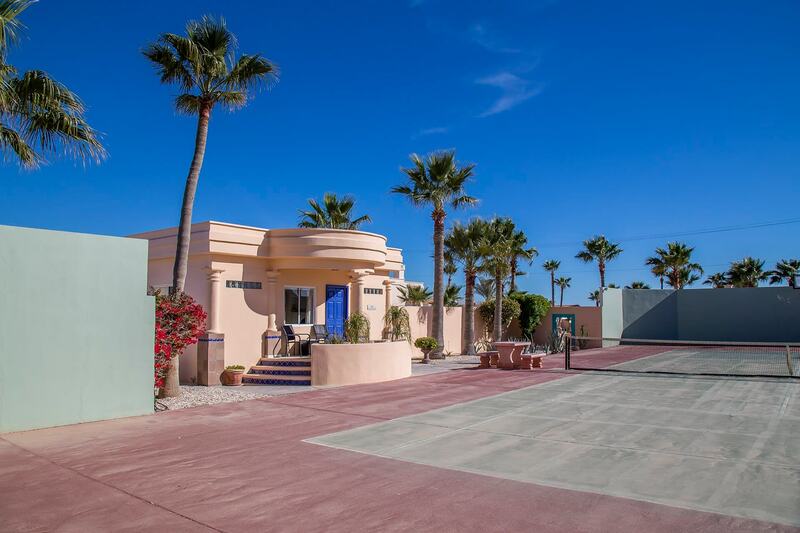 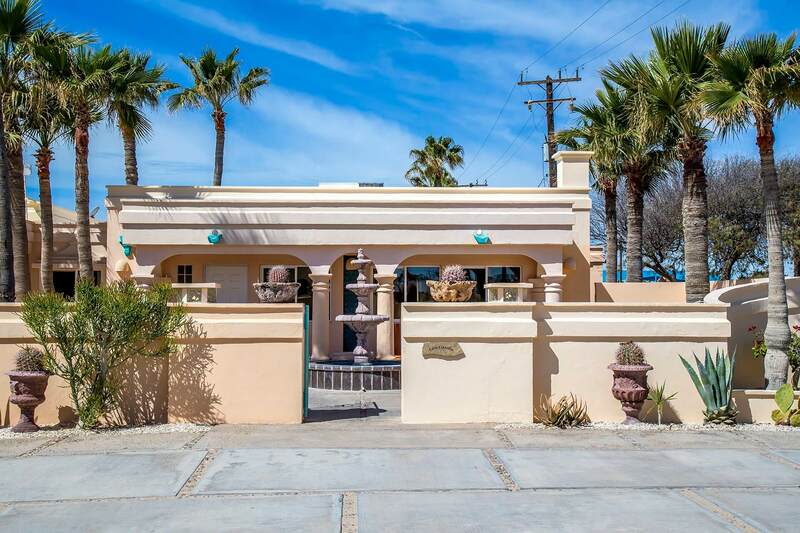 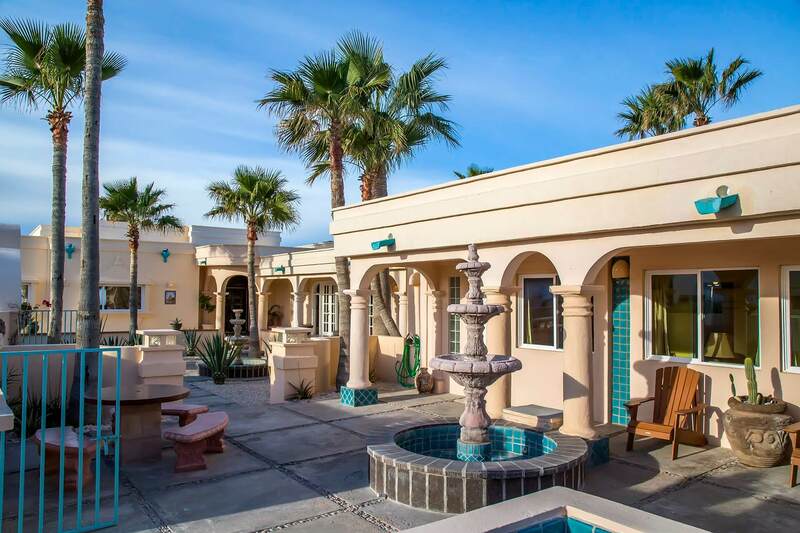 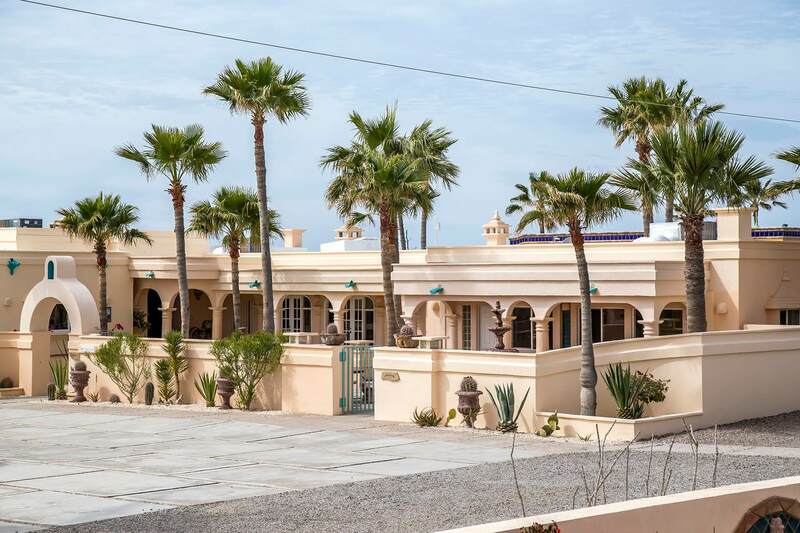 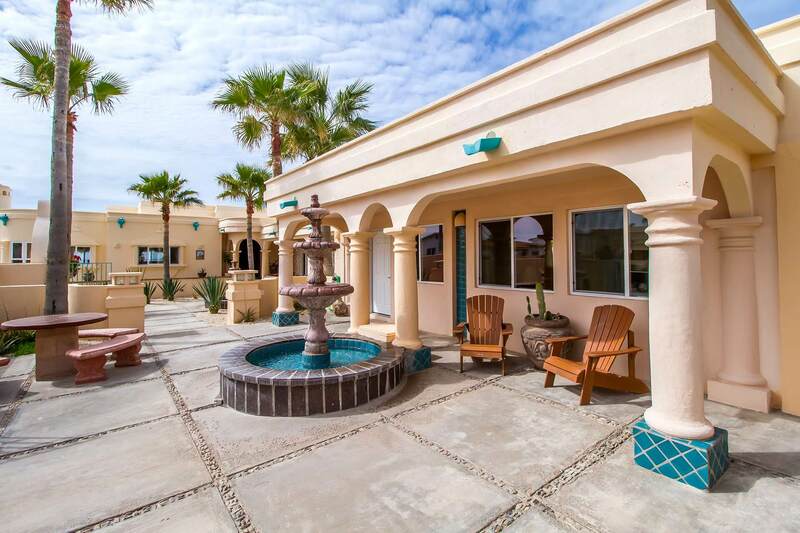 Casa Estrella guests can enjoy the private tennis court, kayaks, and basketball court while at the 1.5 acre walled in beach front estate of La Paloma del Mar. 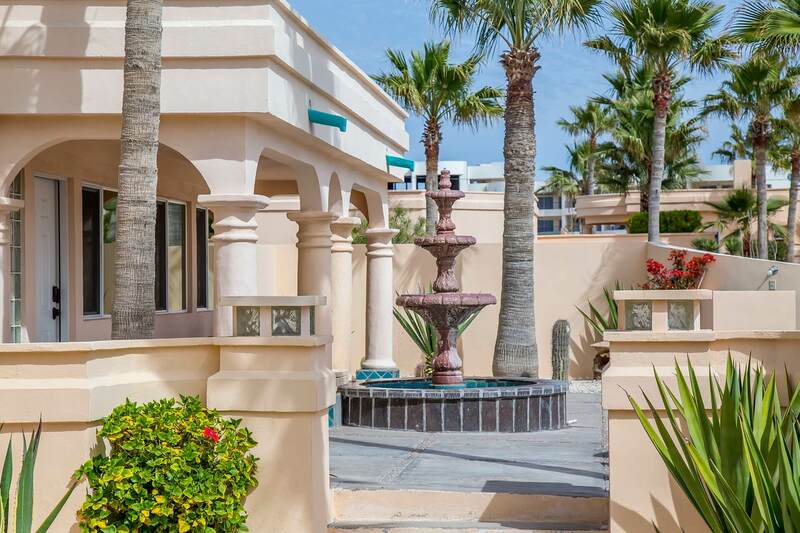 All within the guard-gated community of Las Conchas. 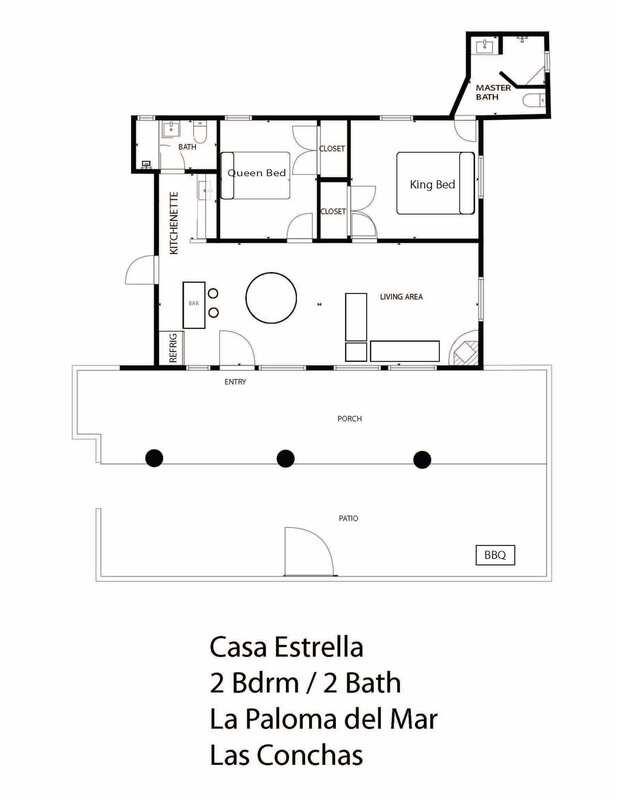 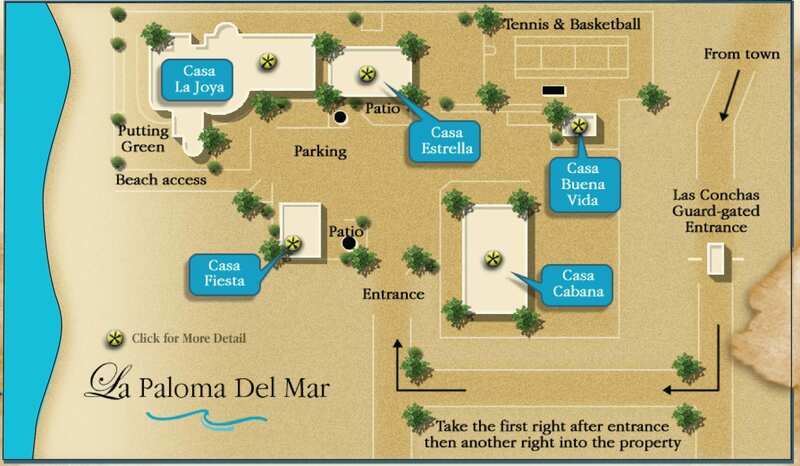 Below is the Casa Estrella floor plan, La Paloma del Mar site plan as well as the view from above! 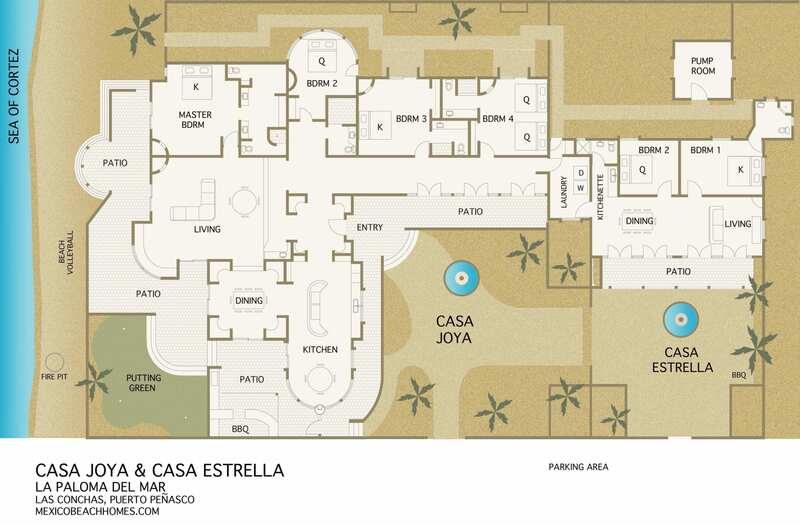 Note: Casa Joya can be added to create a 6 bed/6 bath accomodation. 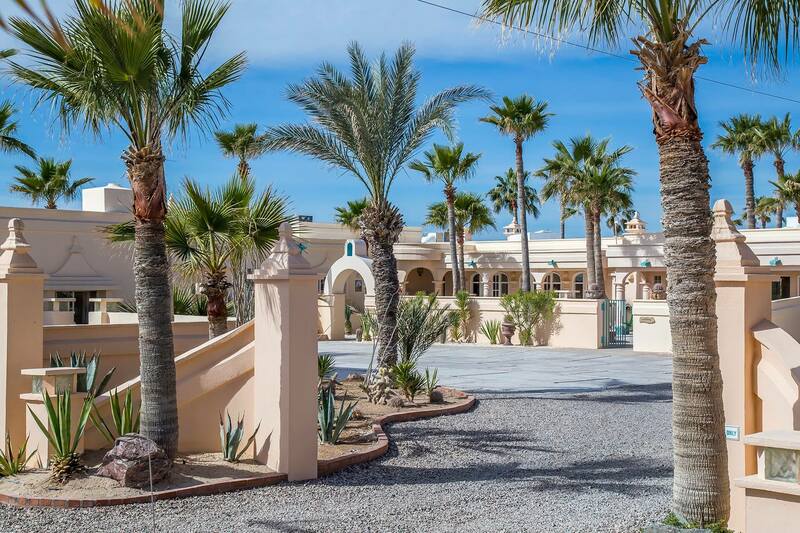 Interested in renting Casa Estrella?